Give us a call or drop us an email and we can have a chat about any ideas you have for your new carpet or flooring, we can then book an appointment for a time to visit you with a full range of carpet and flooring samples. Whilst with you we listen to your ideas then help and advise you on how to get exactly what you’re looking for on budget. 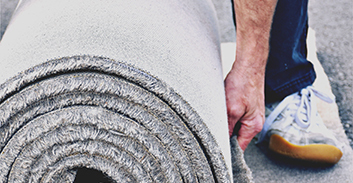 Whilst you take a look through the carpet and flooring samples we can take all measurements needed and where possible give you a written quotation there and then. This is also a good time to go through any additional services you may require like moving of furniture (free if you’re retired), uplifting and removing your old carpets or easing doors. You can accept the quote by either calling or by email and then we can discuss timescales and deposits. Once deposits have been paid we order all flooring materials needed and aim to install your new flooring within 10 days or sooner if need be. What to expect on fitting day. To ensure your fitting day runs smoothly, we would always recommend either yourself or a representative being at the property so that you can discuss with your fitter any unforeseen things that may arise. 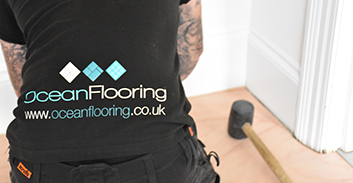 All our carpet and flooring fitters are specialists in their field (we won’t send our carpet fitter to install your wood or our wood specialist to fit your carpet). 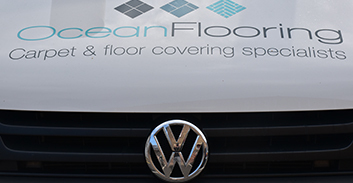 Once on site they will prepare the subfloor as needed and fully install your carpet or floor covering to the highest standard and once they are finished they will replace your furniture if arranged, clear the site, hoover up and leave it spotless for you to enjoy. “Andy came around to give us our original quote. He was brilliant and talked us through the options for having carpet taken up and being re-laid with more appropriate flooring for our needs.